American chestnut canker Not set Not set ESTS derived from combined tissues of innoculated, mature tree BA69. Combined tissues included stems (secondary phloem and primary periderm) wounded plus inoculated with blight fungus culture. American chestnut healthy stem 1 Not set Not set ESTS derived from combined tissues of healthy, mature tree AC 4T7, Wisneiwski genotype from CAES. Combined tissues includedHealthy stem samples of bark, vascular cambium and wood attached to each other. American chestnut healthy stem 2 Not set Not set ESTS derived from combined tissues of healthy, mature tree AC 1T6, Watertown genotype from CAES. Combined tissues from healthy stem included of bark, vascular cambium and wood attached to each other. 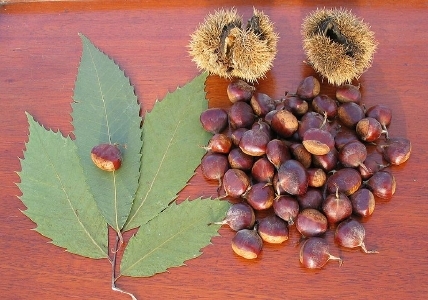 American chestnut whole plant 1 Not set Not set ESTS derived from combined tissues of healthy, mature tree AC 4T7, Wisneiwski genotype from CAES. A mixture of tissues representing the whole plant was combined. American chestnut whole plant 2 Not set Not set ESTS derived from combined tissues of healthy, mature tree AC 1T6, Watertown genotype from CAES. A mixture of tissues representing the whole plant was combined. There are 773 SSR markers associated with 773 features in this organism.